As U.S. President Donald Trump’s administration continues to slap tariffs onto all kinds of consumer products, property/casualty insurers are increasingly concerned how some of these actions will affect the cost of auto and home coverage. Auto parts tariffs have drawn the most industry attention. The new $200 billion round of levies placed on Chinese-made products largely hits auto parts, starting with a with a new 10 percent tariff that ups to 25 percent on Jan. 1, 2019. Insurers have lobbied against this for months, arguing that the move will raise costs for consumers and policyholders. They outlined this perspective over the summer in a joint letter submitted to the U.S. Department of Commerce by the American Insurance Association, the National Association of Mutual Insurance Companies and the Property Casualty Insurers Association of America. 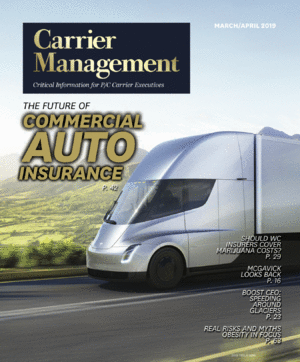 Industry insiders contacted by Carrier Management pledged to continue their fight against the actions. Echoing contents of the industry lobbying letter, Passmore noted that 60 percent of auto parts used in the United States are imported from “one country or another.” A 25 percent tariff on auto parts from China, he said, could raise collision repair costs for insurers by 2.7 percent, something that could lead to an additional $3.4 billion ultimately passed onto policyholders. What’s more, Passmore said, raising the cost of auto parts through tariffs could make cars more likely to be stolen. Passmore said the industry is lobbying for exemptions for auto parts imports, because so many are made overseas that it would be hard to line up alternative domestic suppliers. Jon Bergner, assistant vice president of federal policy at NAMIC, said the property/casualty insurers are watching the unfolding tariff situation “very carefully,” with particular concern over how the corresponding increase in claim severity will affect replacement auto parts costs. Sean Kevelighan, president and CEO of the Insurance Information Institute, said the tariffs will cause a lot of damage to the broader economy, with insurers and consumers in the cross-hairs. Passmore agreed that tariffs on Canadian lumber could also challenge insurers and policyholders. He pointed to estimates that the tariffs could add thousands of dollars to the cost of a new home or apartment condominium, with costs also rising to replace a roof, shingles or siding after a fire or other damage. Hurricane Florence, he said, could put these cost concerns into greater focus in the months ahead, with policyholders ultimately bearing the brunt of the lumber price increases.